Mr. Sargent enlisted into the US Army active component in 1988 as a Military Police Corps enlisted Soldier. After reaching the rank of Staff Sergeant (P) he left Active Duty in 1998. While continuing his service in the US Army reserve component and completing his undergraduate degree he attended Reserve Officers’ Training Corps (ROTC). Upon graduating with his bachelors he was commissioned into the US Army active component as a Military Police Corps Officer in 2000. After commissioning Mr. Sargent assignments included Platoon Leader, 984th Military Police Company, Fort Carson, CO; Battalion Maintains Officer, 759th Military Police Battalion, Pentagon, Washington DC; Platoon Leader, 4th Military Police Company, Iraq; Provost Marshal, 3rd Brigade Combat Team, 4th Infantry Division, Iraq; Company Commander, 217th Military Police Detachment and Headquarters & Headquarters Company, US Army Garrison, Fort Lee, VA; Observer-Controller Trainer Team Chief, Camp Atterbury Joint Maneuver Training Center, IN; Deputy Team Chief, Stability Transition Team, 3rd Brigade Combat Team, 3rd Infantry Division, Iraq; and Assistant Professor of Military Science, The Ohio State University Army ROTC, Columbus, OH. After completing over 25 years of service Mr. Sargent retired from the US Army as a Major in 2013. 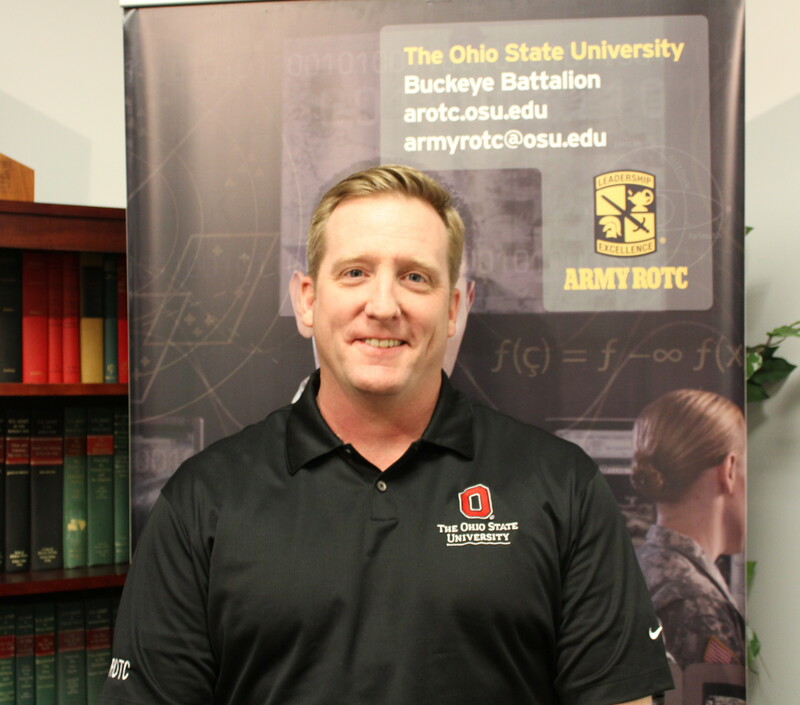 His current position is as the Recruiting Operations Officer at The Ohio State University Army ROTC where he is continuing his service as a member of the Army Civilian Corps. The Four-Year High School Scholarship is for high school students planning on attending a four-year college program. Contact your high school academic advisor or campus Military Science department for more information. If you are applying for a scholarship, you first will need to create a MY GOARMY account. Once you create an account, you will be sent to the MY GOARMY Log In page. Once you can successfully login to MY GOARMY, you can use your newly created account information to login to the scholarship application site. Through classes and field training, Army ROTC provides you with the tools to become an Army Officer without interfering with your other classes. ROTC also provides you with discipline and money for tuition while enhancing your college experience. If you’re interested in enrolling in Army ROTC and you are in college, you can start by taking an Army ROTC basic elective course. If you have at least two or more years remaining toward your undergraduate degree but not enough time to complete the Basic Course, you can enter the Army ROTC Advanced Course by completing the Leader’s Training Course held at Fort Knox, Kentucky, during the summer. If you are a student already in college and would like to explore Army ROTC, there are several scholarship options available. If you’re an enlisted Soldier, Army ROTC can help you continue to grow and learn. The Army Green to Gold program provides options for Soldiers interested in pursuing a baccalaureate or graduate degree and earning a commission as an Army Officer.